In 1374 Coluccio received an appointment in Florence and the following year was appointed Chancellor of Florence, the most important position in the bureaucracy of the Florentine Republic. In his position, Salutati was responsible for the widely circulated official correspondences with other states, drafting confidential instructions to ambassadors, conducting diplomacy and negotiating treaties: "in its chancellor Florence had someone truly exceptional, endowed not only with legal knowledge, political cunning and diplomatic skill, but also with psychological penetration, a gift for public relations, and unusual literary skill." His abilities as a statesman were soon tested as Florence was immediately faced with war with the papacy. Salutati was charged with addressing Pope Gregory XI to assure him that Florence was still a loyal member of the Guelf party. Although he failed to prevent war with the papacy, Salutati soon became the most celebrated chancellor in all of Italy and a master of the formal letter. Florence's principal nemesis during his tenure, Giangaleazzo Visconti, Duke of Milan, once remarked that one of Salutati's letters could "cause more damage than a thousand Florentine horsemen." During his life, Florence warred twice against its powerful northern rival, Giangaleazzo Visconti. 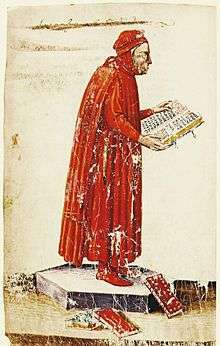 His treatise De tyranno ("On the tyrant") published in 1400, has, most likely, its model in Visconti, although in it Salutati (despite being a republican) remains a supporter of the providential universal monarch already put forward by Dante. Occasionally his letters had unintended consequences. When he wrote to the people of Ancona in 1376, inciting them, in the name of their freedom, to revolt against the governor imposed by the pope, he called to mind the evils Italy had suffered on behalf of the French. Word of his nasty tone got to the King of France, which prompted a most conciliatory letter from Salutati, assuring the King that he meant no harm and that Florence would always be a friend to France. Coluccio's cultural achievements are perhaps even greater than his political ones. A skilled writer and orator, Coluccio drew heavily upon the classical tradition and developed a powerful prose style based on the Latin of Virgil and Cicero: "I have always believed," Salutati wrote "I must imitate antiquity not simply to reproduce it, but in order to produce something new" In this sense his own view of humanism was broader-based than the antiquarianism of the generation of humanists he fostered. An admiring correspondent of Petrarch, he spent much of his salary on amassing a collection of 800 books, the largest library in Florence at the time. He also pursued classical manuscripts, making a number of important discoveries, the most important being Cicero's lost Letters to his Friends (Epistulae ad familiares), which overturned the entire medieval conception of the Roman statesman. Coluccio also did important studies of history, tying Florence's origin not to the Roman Empire but to the Roman Republic. In his lifetime, the study of secular literature, especially pagan literature, was discouraged by the Roman Catholic Church. Coluccio played an important part in changing this outlook, frequently engaging in theological debates on the merits of pagan literature with Church officials. He promoted the work of younger humanists such as Gian Francesco Poggio Bracciolini, Niccolò Niccoli, Leonardo Bruni and Pier Paolo Vergerio. ↑ "A cure for the educational crisis: Learn from the extraordinary educational heritage of the West". RenewAmerica analyst. Retrieved 2006-06-02. ↑ Italian "Scimmia di Cicerone", with implied praise. Tanzini, Lorenzo. "Il cancelliere letterato". Medioevo. De Agostini (145/146): 100. ↑ The Avignonese papacy lasted from 1305 to 1367. ↑ Stephen Greenblatt, The Swerve: how the world became modern, 2011:123. ↑ Tanzini, Lorenzo. "Il cancelliere letterato". Medioevo. De Agostini (145/146): 103. ↑ Lauro Martines, The Social World of the Florentine Humanists, 1390-1460 :(Princeton) 1963:25. ↑ Herbermann, Charles, ed. (1913). "Coluccio di Pierio di Salutati". Catholic Encyclopedia. New York: Robert Appleton Company.